Boxing remains one of the most popular sports in the UK to watch and to bet on, and with markets opening up well into some matches when they are underway, it’s more than a good idea to get yourself acquainted with some of the ins and outs of placing bets from round to round. It is a combat sport which can be really exhilarating to watch – boxers train extremely hard all year round to be able to compete with the biggest and the best, no matter what weight division they may be in – and the very fact you’re watching some of the best fighters in the world can give you a real buzz. On this page you will be able to see various boxing sites which are available in the UK. Have a look through the sites to see which your favourite is so you can start to place your bets. What’s more, there are tons of markets and odds opening up with the sport on a day to day basis, so it’s always worth getting involved. In this guide, we’ll run through the basics of boxing and what you can expect from various odds and outcomes therein. While we can’t unfortunately give you any solid boxing tips on who to root for, we can give you more than a vague idea of what to look for in a fighter should you be interested in throwing your money into the ring (quite literally). 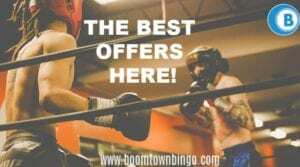 Interested in boxing betting sites? You’re in luck – here’s our guide on what to expect and how to get started. 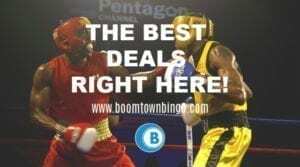 Plenty of bookmakers and online betting sites offer boxing betting odds as a basic standard. While horse racing and greyhounds have long been the standard of bookies shops everywhere, the betting scene has never been bigger. A quick search on Google will likely bring up reams of results for some of the biggest names in UK bets – and it can be a bit of a minefield to find your way to the right odds provider for you. The best thing to do in any case – and with any sport – is to take a good look at the markets, to compare, and to find a site or bookmaker who offers you decent prices for decent results. It’s an odds game, of course – and you may well want to jump into some in-play bets if you feel a match isn’t going your way at any point in time. Read on, and we’ll cover that in a little more detail. Betting on boxing is simple, but it’s worth understanding the simple rules of the game and the various outcomes that are expected. You will need to be aware of the different boxing bet types before you place your bets. Two boxers are expected to fight for up to an absolute maximum of twelve rounds, which are three-minute intervals whereby fighters attempt to beat each other within rules and guidelines. Boxers are classed in various weights and classes in the interest of maintaining fairness and so that certain rules can be adhered to. These matches can also end in various ways, too, which can affect various markets and odds available. One boxer may be knocked out and unable to continue, or a TKO or Technical Knockout may occur. 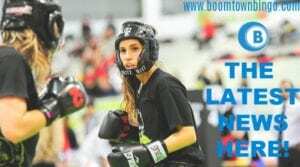 Basic knockouts arise when the referee attending counts to ten once a fighter is knocked down – and if they’re still down after the tenth count, the match is over. TKOs occur when a boxer is physically unable to continue, usually contested by a referee or fight doctor. Betting boxing opportunities are rife online, and it’s a good idea to start taking a look at the various outcomes that you can place money on in the hope of getting a nice return. You can bet on an outright winner (a bout bet), round by round, or even by the way in which a chosen boxer wins the match. Find out more about the boxing events before you place any bets. As with other sports, there are various elements and factors to the game which can be bet upon mid-way through, and this helps to make the experience all the more exhilarating. Some bookmakers and boxing betting sites will even let you place bets on whether or not the fighters involved will last all 12 rounds. It’s certainly happened before, even with pugilists who aren’t world-class fighters – meaning it’s recommended to swot up on the vital stats of the boxers involved if you’re aiming to make this your focus. Boxing round betting allows you to essentially pick who will win in a given round, or in each round of an upcoming bout. This type of bet can require a certain amount of confidence and, as always, you’ll need to do a small amount of research into those taking part. You’ll also be able to bet on which round you think the winner will be declared in, which is a popular choice for betters. This allows you to avoid nailing things down to anything specific. Round betting boxing punters generally prefer as it helps to keep things interesting – and what’s more, you can put any prior knowledge you have of the fighters involved to the test. It’s always recommended that you look at a boxer’s form before putting any money down. How have they fought in previous bouts, what’s their confidence like? Have they got a new coach? These are all elements you’ll need to consider. Betting odds boxing and beyond can vary from site to site, but it’s important to remember that these bets are some of the most intricate and varied out there. Our advice will always be to analyse your boxers and to look carefully at a variety of odds markets. Don’t necessarily be tempted to go for the outright favourite, either – consider round by round options, and ways in which you could make a return.